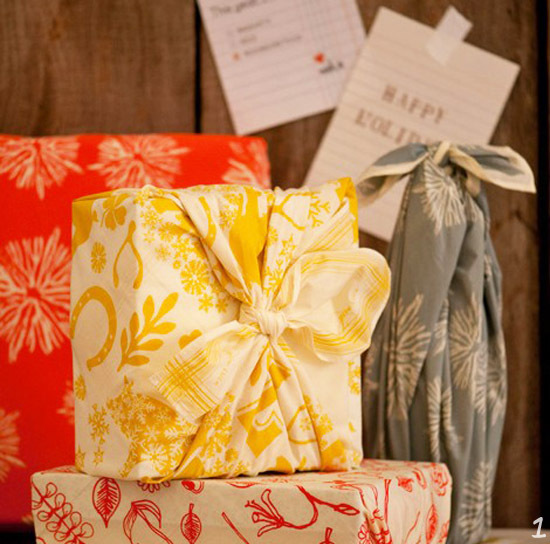 Fabric wrapping seems to be the new up-and-coming way to add a special touch to gift giving! 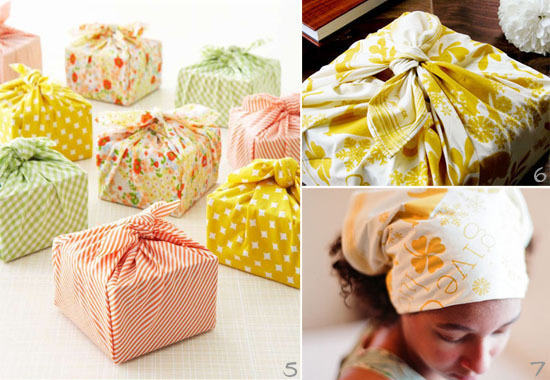 I started doing a little fabric wrapping about a year ago, not because I thought it was cute, but because I almost always have scrap pieces laying around the house and thought it was a great way to save a little money. It wasn't until recently that I discovered this idea really is genius! 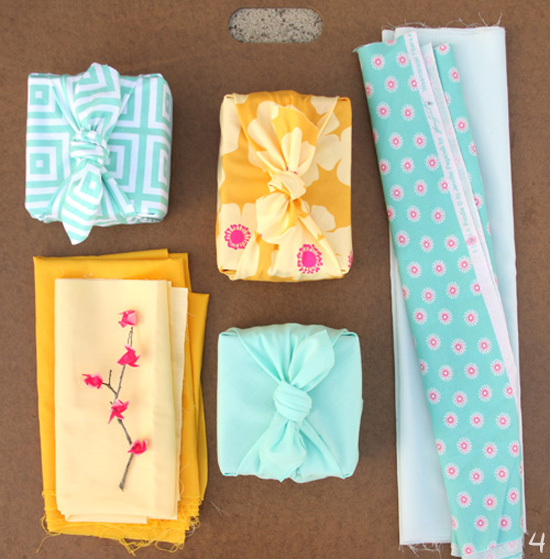 Not only is it super cute, using fabric can also be very eco-friendly! 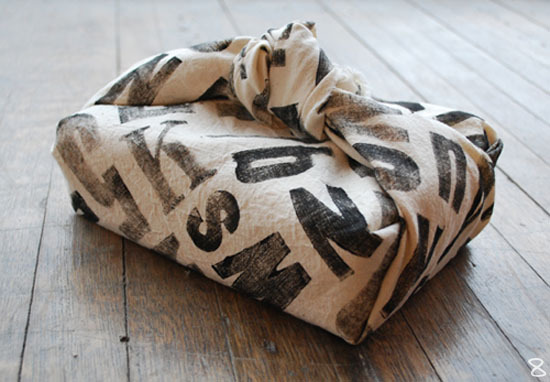 The fabric wrappings can be used as bandannas (photo shown below) or can be tucked away and re-used for future gift wrapping (because it doesn't wrinkle and tear like regular wrapping paper). Photo Credit 1. Ohjoyblogs, 2. 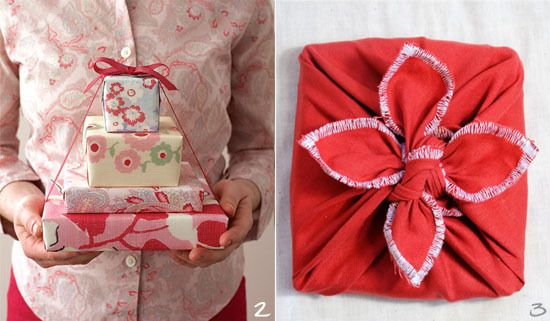 Martha Stewart, 3. dujour, 4.Giverslog 5.The Haystack Needle via Handmade weddings 6 & 7. Chewing The Cud, 8.Poppytalk via Arounna of Bookhou 9. Chewing The Cud, 10. Chewing The Cud. You are just naturally artsy! Of course you would have thought to do this. 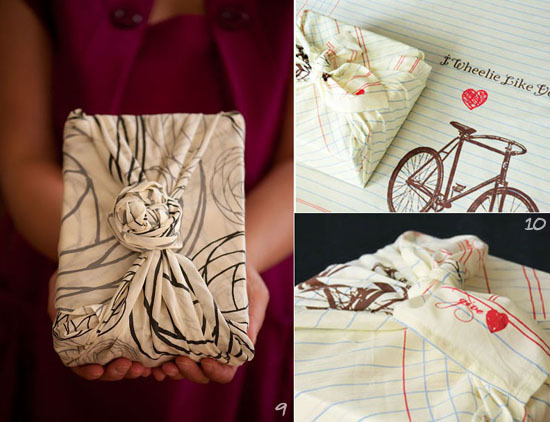 :) I love the idea and have a ton of material laying around in my closet. Hmmmm... Christmas could get interesting. What a great idea! That's what I can do with all my fabric.